In OpKey, Suite is a collection of Test Cases for execution. There may be one or more than one Test Cases/Gherkin files for execution. Each Test Case in a Suite should be complete in itself and independent of other Test Cases. You can add, remove, move up/down Test Cases and rearrange them as per their order of execution. After successfully login into OpKey Web, select the appropriate Project in which you want to create a Suite. You will be navigated to the screen having as shown. You can mark the “Don’t show me again” checkbox as checked if you do not wish to view this notification again. 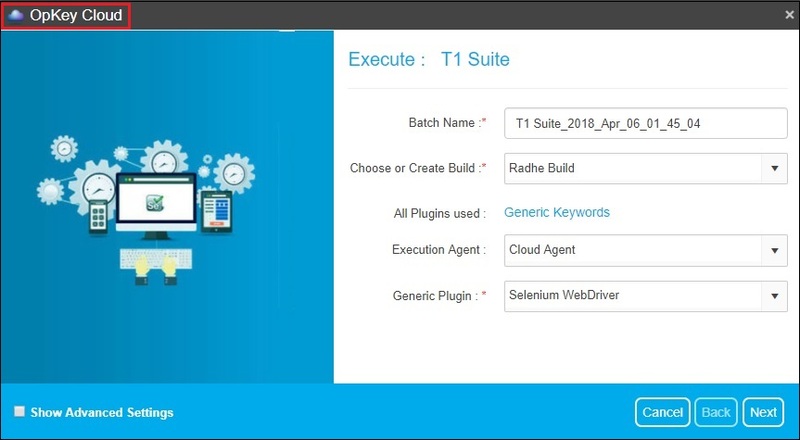 Click “End Tour” to proceed with the process of creating a Suite file. How to create a Suite File? 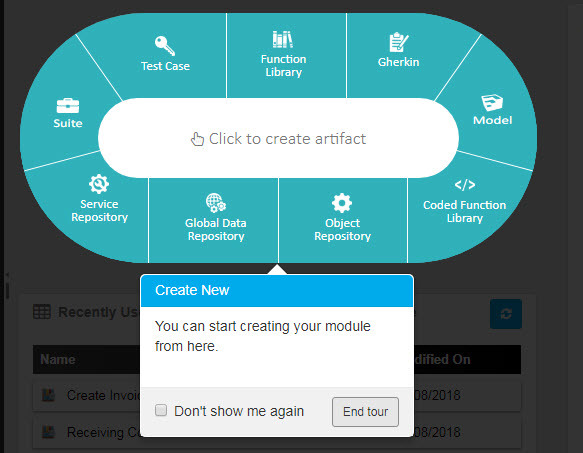 After clicking on “End Tour” , you may “Click to Create New Artifact“.Select Suite. The “Suite” text will appear highlighted. The fields marked with * are mandatory. Enter the Name of the Suite . You can also enter the Description.Click OK.
Go to Project Workspace > Select the root Folder > Click Create New file icon > Select Suite . A Suite file will be created in the root Folder of the project Workspace. You may rename the Suite accordingly. 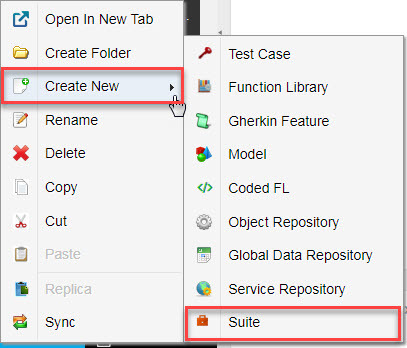 Right click on root folder > select Create New > select ‘Suite ’. To add test cases/gherkin files in your suite, go to the right pane, scroll down your project files, select and double click on desired Test Case/Gherkin file. 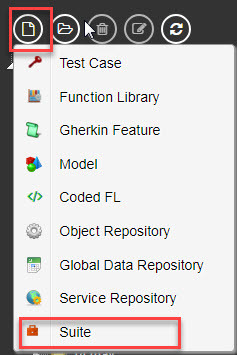 You can also add multiple test cases and gherkin files by selecting all the required Test Case/Gherkin files and clicking on ‘Add Available Test Cases/Gherkin Features’ icon. Only Test Case(s) & Gherkin file(s) can be added to the Suite. Click on ‘Run Now’ button to start execution. 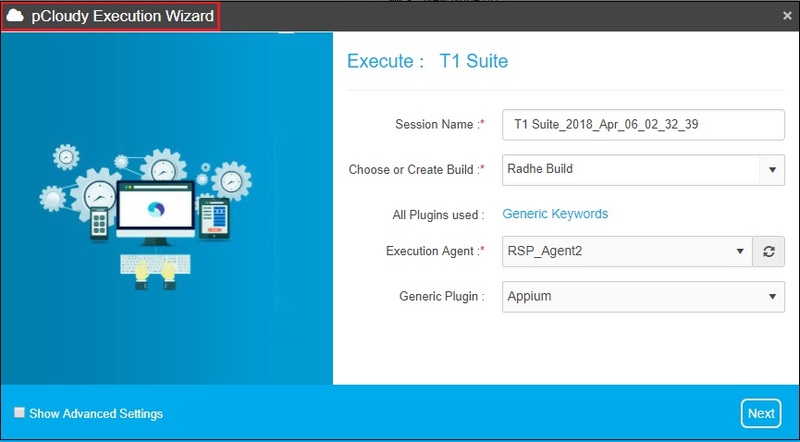 You need to select Session Name, Choose or Create Build, Plugin used, Execution Agent and Generic Plugin to proceed execution process. Debug now helps you execute saved test cases in Debug Mode. It has features like Play, Pause, Stop, Step Info, Step Over, Step Out, Show Call Stack, etc. to debug each step individually. The execution process will run in small popup window in the right side of your browser at the bottom. Next, on Execution wizard window, enter batch name, choose or create build, select execution agent and choose generic plugin. (You can check ‘Show Advanced Settings’ for advanced features regarding configuration of Snapshot of steps (along with quality and step timeout), session tags and global variables. Click on ‘Next’ to proceed. Choose required cloud OS(s) and Bowser(s) to perform execution on OpKey cloud. Click on ‘Next’ to proceed. The selected test case/gherkin file(s) can be deleted from the Suite. Select a test case to delete. Clicking on ‘Delete’ will prompt an alert message of delete confirmation. Click on ‘OK’ button to confirm the deletion. An alternative way of deleting a step is to right-click on any of the available step and select Delete option as well. Select a test case and click on ‘Move Up Step’ to move selected test case up and this test case will be executed accordingly. Select a test case and click on ‘Move Down Step’ to move selected test case down and this test case will be executed accordingly. 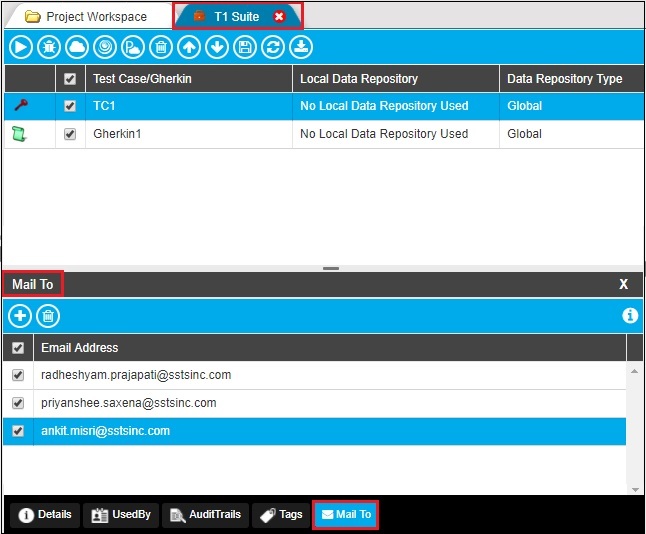 Once all the required changes are done, save the Suite to prevent data loss & save test case. Refreshing will reflect the all made changes to the Suite. 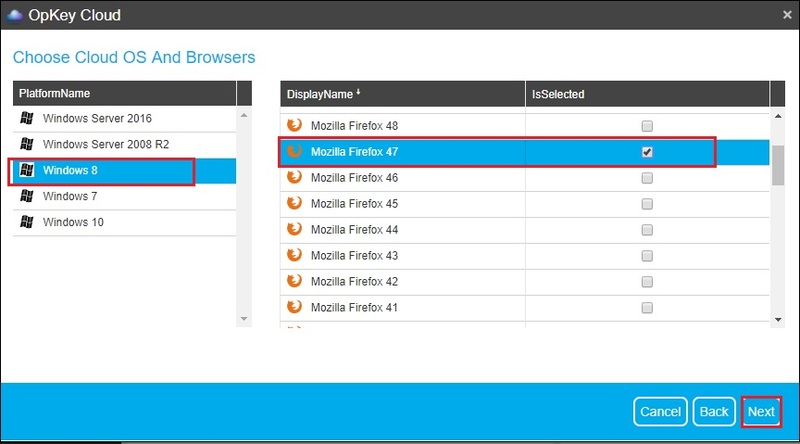 Right clicking on the added test case allows you to perform other similar actions as shown below. Now, you can execute your Suite on OpKey Cloud and pCloudy. It handles the test lab setup and maintenance for you and enables parallel test executions over more than 100 web browsers along with different OS combinations. Over pCloudy, you can execute your Suite (Mobile Flow) parallelly over various devices (along with different mobile OS). Considering these advantages of cloud environment, we have integrated OpKey with an advanced feature – Run on Cloud, which provides the end-user a capability to execute the created test scripts on a cloud environment remotely. 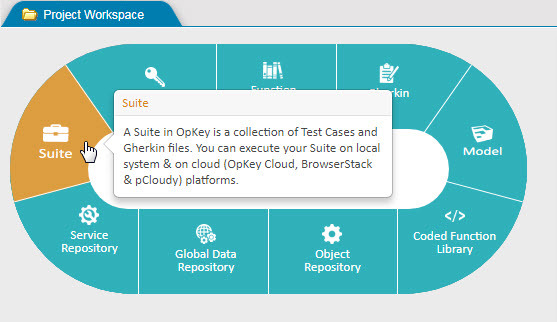 To work with OpKey Cloud, you just need to follow few simple steps as described further. Go to the Suite window and click on MailTo of dockable panel. Click on Add button to add new email ids. 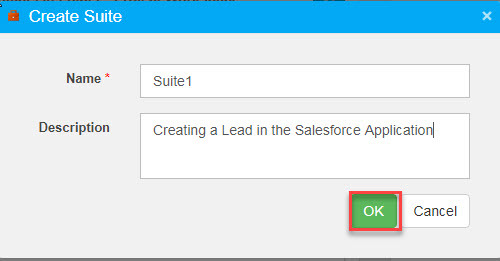 Once the email ids are added, email for Suite Execution Result will be sent only to the selected email ids. In case you wish to delete any email id, select it and click Delete. If the specified email ID in “MailTo” has also been added in the SMTP settings then only a single mail of Execution report will be sent to the specified email ID. By using Run Now, Debug Now button & on OpKey Cloud & pCloudy cloud platform. When you click on ‘Run on Cloud’, a login popup window for OpKey Cloud opens. Enter your UserName & Password and click on Sign in. Next, on Execution wizard window, enter batch name, choose or create build, select execution agent and choose generic plugin. (You can check ‘Show Advanced Settings’ for advanced features regarding configuration of Snapshot of steps (along with quality and step timeout), session tags and global variables. Click on Next to proceed. 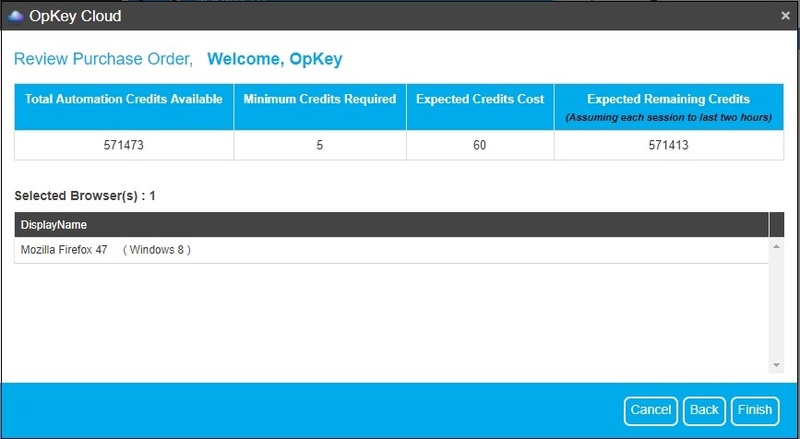 Choose required cloud OS(s) and Bowser(s) to perform execution on OpKey cloud. Click on ‘Next‘ to proceed. Review Purchase Order along with account credit details and selected browser version & OS. Click on Finish. Once execution has completed, you can expand the execution result and analyze it. Before executing your Suite, make sure that it contains ‘Mobile Flows’ only i.e. Test Case & Gherkin files must be Mobile Flows. Otherwise, Suite will gets failed during execution. To execute your mobile flow Suite over OpKey web, click on ‘Run on pCloudy‘. 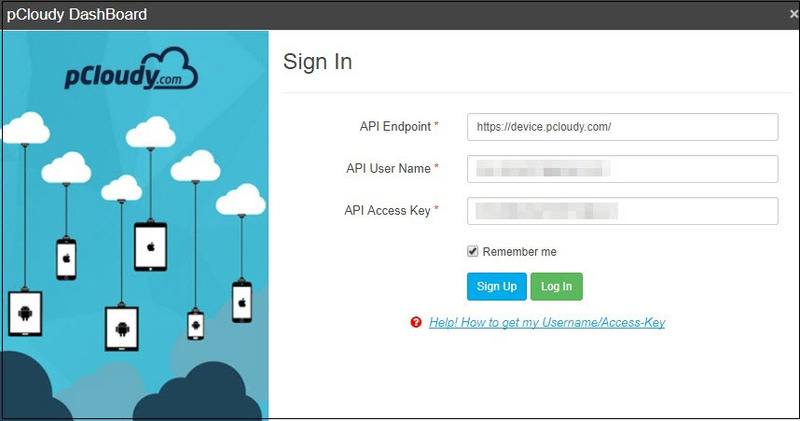 A new window opens which asks you to enter your pCloudy credentials (along with API Access Key). After successful login over pCloudy, you come to the pCloudy execution wizard where you need select ‘Plugin’ for execution. You can check ‘Show Advanced Settings‘ option which helps you configure Snapshot of steps (along with quality and step timeout), session tags and global variables. Fill all fields and click on ‘Next‘ to proceed. 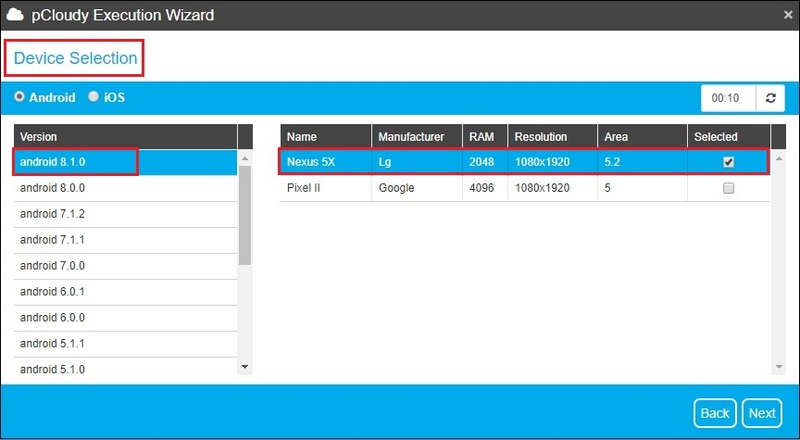 In next step, you need to select particular device(s) from the given list of devices. Device list contains a number of android and iOS devices. In this step, you can review your selected device and mobile OS version. Click on ‘Complete‘ to proceed. When you click on ‘Complete‘, your execution gets starts. Just after completing the execution process, you can analyze your execution result on Execution dashboard.